September 5, 2017 Ginger C.
On arrival, a ROCK wedged in solid. Shoe removed and rock STILL WEDGED!!! Rock impression, rotten, crushed frog. 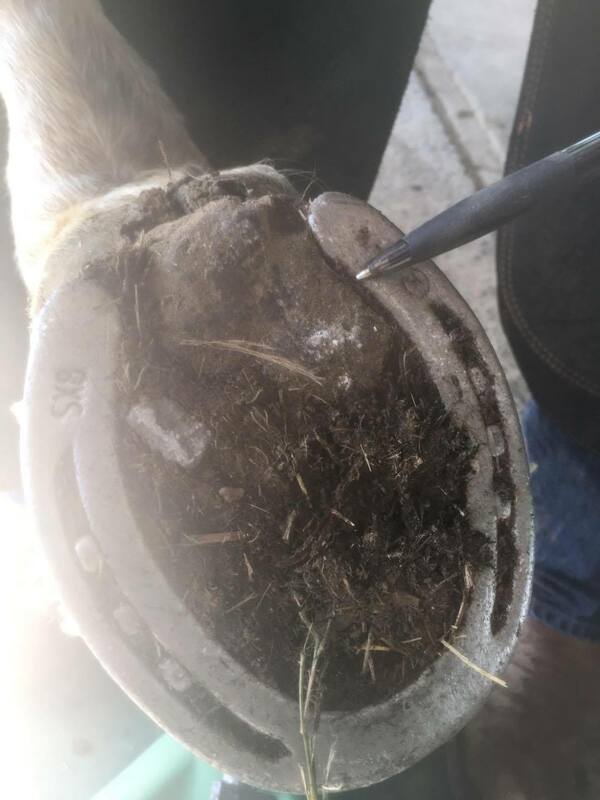 Same hoof finished, GOOD JOB STUDENTS!